Millions of people draw inspiration from the world of sports, and Game-Changers applies that inspiration to the Christian walk. 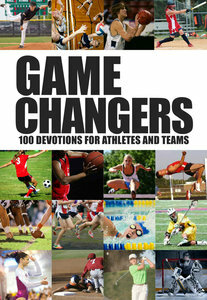 This collection of 100 powerful devos contains inspirational stories, familiar Bible verses, and quotes from highly respected athletes. These devotions derive eternal truths from God&'s Word and apply those truths to the playing fields of life.